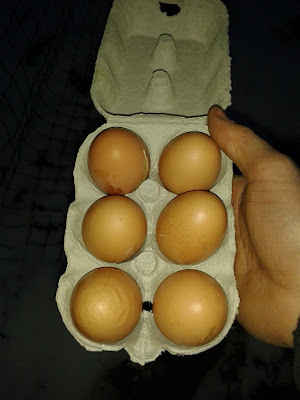 We've been selling eggs since we first had chickens (some years ago now) but I'm always fed up of asking for egg boxes or people forgetting to bring them back. So I decided to bite the bullet and buy some, and since the invention of eBay I don't buy anything unless it's in bulk. I ordered 300 egg boxes, 100 3ft bamboo canes and 50 8ft bamboo canes (always struggling for canes). 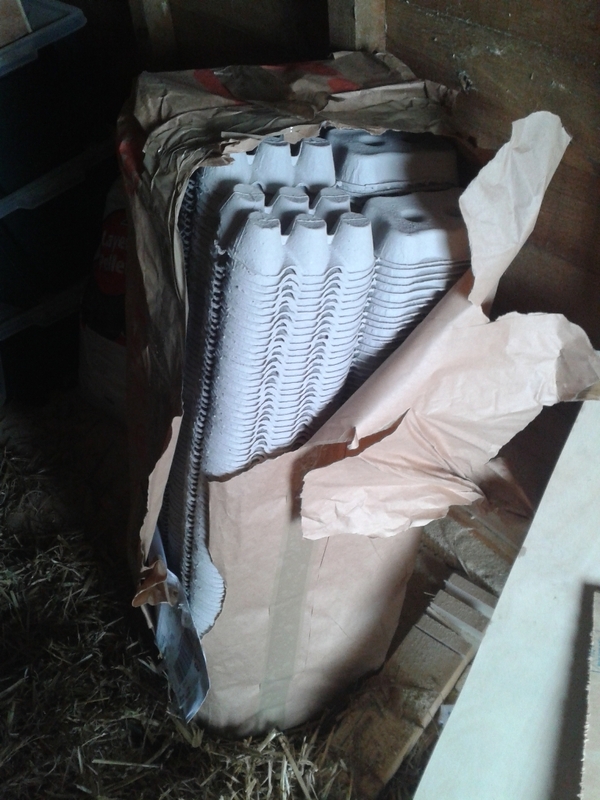 It's going to be nice not to have to hunt around for egg boxes or try to use improvised boxes. And since the ex caged birds are in their new coop the eggs have been lovely and clean every time. I need to alter my other coop so this happens in that pen as well, as we're selling more and more eggs and no one wants to buy dirty ones! They were in there as soon as it was dry! I was so desperate to get them out of the veg garden! what is it about dirt these days, people have been indoctrinated into thinking dirt is bad. I remember buying my spuds from the greengrocer covered in dirt, now they're all washed and clean. When we were kids we used to play marbles in the gutter. God, they'd go mad now if you did that. A bit of dirt never heart anyone. Our daughter isn't going up in what I'd call sanitary conditions! how much did you pay for your egg boxes? I have more that lay brown than blue. All nine of the ex caged birds lay nice brown eggs - now with no added poo. We either get given loads or none. It was through a dry spell and they had started to take up the bottom step on the stairs that I decided enough was enough and it was time to buy some! I could use all those bamboo canes. I never thought of Ebay for those. Oh by the way, Neosporin triple antibiotic ointment seems to have fixed our roosters comb right up! I need to increase my market for the eggs as the blokes at work might get fed up of me "pushing" them to buy eggs! The bamboo cane was cheap but some of the longer poles are pretty thin (the short stuff is great though).